Since 2000 we've represented Techniks in Northern California and Northern Nevada. 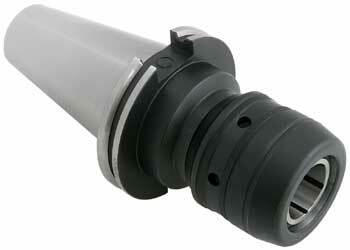 They are a leading manufacturer of CNC rotary tooling based in Indianapolis, IN. TechniksUSA is a manufacturer of: tool holders, collet chucks, ER collet chucks, TG collet chucks, end mill holders, DIN B coolant, coolant-thru holder, tap collets, pull studs, toolholders, milling chucks, jacobs chuck, drill chucks, BT30, BT40, CAT40, CAT50, HSK, ISO30, CNC router tooling, collet holder, aggregate head, shell mill arbors, face mill arbors, shrink fit holders, shrink-fit machines, tap holders, rigid tapping, tap collets, boring tools, finish head, rough head and boring heads. Value-priced ER Chucks offer good performance at a price that won't break the bank. If you are looking for quality End Mill holders at an affordable price, give our new SIMIS holders a try. No Seals To Fail – EVER! Sealed up to 2,000 P.S.I. Slim-Fit provides the reach and accuracy you need, PLUS the ability to change tools easily. Slim-Fit combines the best features of collet chucks, (fast tool changes and fits a variety of shank sizes) with unmatched rigidity, accuracy, and balance. All in one system. 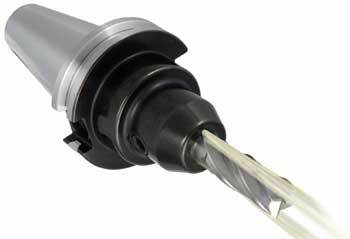 Their special coolant-thru end mill holders feature special grooves in the bore that allow coolant to flood the tool and cutting zone. The additional coolant allows you to increase feed rates and extend tool life. Available for 1/4", 3/8" 1/2", 3/4" and 1" shank sizes. 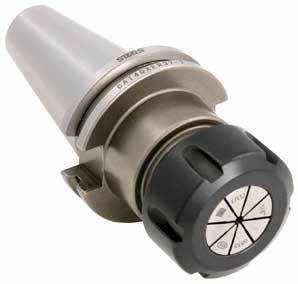 CoolFLEX ER collet chucks and end mill holders feature a coolant path that can be switched from coolant-thru spindle to DIN style coolant simply by removing two setscrews. Now you don't have to buy machine-specific toolholders. 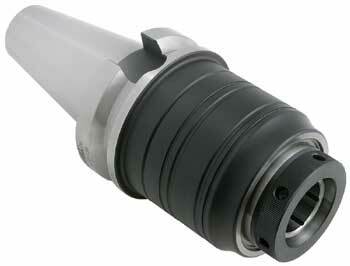 CoolFLEX holders are available in ER collet chucks and endmill holder styles for CAT40 and CAT50 spindles. 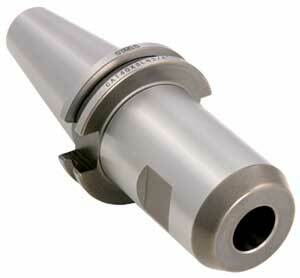 The collet chucks are available in sizes from ER16 to ER40 and are balanced to 25,000 RPM. The endmill holder styles range from I.D. 1/4” to I.D. 1-1/4” and are balanced to 10,000 RPM. "The ER collet system has several advantages when using today's CNC computerized milling machines. The most significant advantage is flexibility to hold any type of round shank tool. An ER collet can be used in drilling, reaming, and tapping as well as milling applications just by exchanging the collet. 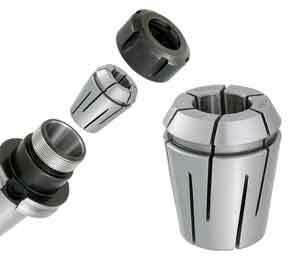 Its accuracy also provides greater tool life than older style collet systems like TG or DA." "We often run end mill "tests" to determine which one performs best. Obviously, our goal is to "win' the test and get more business for our manufacturer's. This is article is about one our "tricks" and it's also why represent both cutting tool manufacturers and rotary tool manufacturers. We want to insure that the products work together." "New CNC operators should be taught how to properly evaluate toolholders so they can recognize when toolholders need to be replaced to prevent premature cutting tool failure, or even expensive damage to the spindle. Many operators do not know why it is necessary to replace their tooling, or have the experience to tell when it is time to do so." "A worn out toolholder will not provide good accuracy and will quickly wear out your cutting tools. Worn tooling can also cause poor surface finish, and may even damage your spindle. Check the taper for signs of wear or damage where it contacts the spindle mouth. Any problems with the taper will have a direct effect on machining accuracy. If there are any imperfections on the taper, the toolholder should not be used. " "HSK is short for the German words "Hohl Shaft Kegel" or, in English, Hollow Shank Taper. 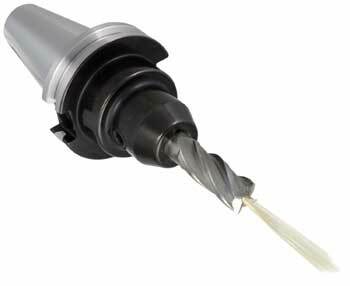 There are several major differences between "steep taper" toolholders, like NMTB, CAT & BT and HSK..."
"If you are using carbide drills 1/8" (6mm) and smaller and getting inconsistent tool life, it's more than likely that your collet is the problem. The reason is because standard collets at these drill sizes do not provide consistent T.I.R., so wear is increased. Studies have proven that T.I.R. 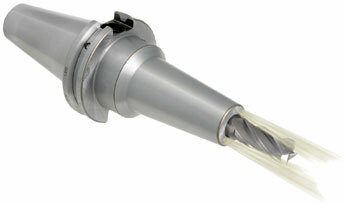 is a major factor in tool life for small diameter drills, end mills and routers." Follow Next Generation Tooling's board TechniksUSA on Pinterest.